There are various components or parts of a staircase which have their own functions. Staircases maybe in all shapes and arrangements to suit different properties but the main parts which go up to make any staircases are fairly common. A step is composed of tread and riser. Tread is a scrap of the stairway that is stepped in. It is the top or horizontal surface to press beneath the feet. It is trodden on while climbing or descending the staircase. It is constructed to the same thickness as another flooring. There is always one fewer tread than risers in a staircase. The overall horizontal distance of the stairs will be the number of threads added together. The material of the tread can be timber, steel, glass, acrylic, panel product or tiling. A standard straight run of stairs in a residence, the minimum depth is 10 inches. A simple rectangular tread can be used on staircase designs. In residential settings, treads can be covered in carpeting. You can display tread numbers for a run in plan, elevation or section view. The riser is the vertical portion between each tread on the stair. Not all stairs have risers. The rise-less steps are known as the open thread. Open riser stairs have grown in popularity in recent years. Closed tread stair has risers included. The vertical board forms the face of the step, also forms the space between one step and the next. It is a vertical component where the material can be timber, steel, glass, acrylic, panel production tiling. Stair riser heights shall be 7 inches (178mm) maximum and 4 inches (102mm) minimum. The height shall be measured vertically between the nosings of adjacent treads. The greatest riser height within any flight of stairs shall not exceed the smallest by more than 3/8 and the rise shall not be less than 11 inches. Check the local building codes on stair riser height if you are building your own staircase. Used in the walkways or a driveway serving. 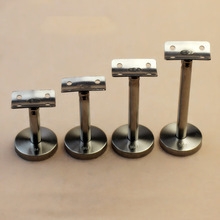 These parts can be manufactured from a variety of materials including Aluminum, vinyl, and wood. Stair nosing is being used at staircases for different purposes where safety is the number one. It is a safe way to finish your wood and protects our stairs edging from breaking or getting damaged in general. Stair nosing helps to improve the visibility of wooden stair edges. It is known as Starting footstep. When stairs are unbolted on one or both sides, the initial step above the lower floor may be wilder than the other steps and rounded. A double bullnose refers to a staircase that is not against a wall and therefore there is a bullnose at both ends of the starting step. It allows the balusters to form a wider, more solid base for the end of the handrail. This is where the bottom step protrudes beyond the newel post. It is also known as stringer or stringer board. There are the structural supports that run along either side of the staircase, though the treads may be supported in many other ways. The stringers are sometimes notched so that the risers and treads fit into them. There are several notable types of string (The stringer is usually 220mm wide and 32mm thick. The length will depend on the rise and go). Stringer on open-sided stairs is often open themselves so that the treads are visible from the side. Such stringers are called cut stringers. Stringers on a closed slide of the stairs are closed. Closed string extends above and below the level of the treads and risers; above the pitch line. This is only done on the outside of the staircase as there is no need the staircase runs and the string is along a wall. Winders are the steps that are narrower on one side than the other. A series of winders form a circular or spiral stairway. Stairway winders or turns involve triangular treads to complete the turn. When three steps are used to turn a 90-degree corner, the middle step is called a kite winder as a kite double winder. As per the Toronto Home inspection, it shows that only one set of winders should be allowed in a staircase and the dimensions should be tripping hazards. Winders must be in a room with the proper definition. You cannot create winders in an area composed of only 2 corner walls. If this configuration is needed, enclose the area in with invisible walls so that a room area is defined. Basically, they are used to change the direction. It can bail you out of the situation where there isn't enough headroom .for a standard landing. A balustrade is a collective name for the complete assembly of handrails, base-rails, newels, spindles, infill, and newer caps. The term "Handrail" is sometimes used to mean just the banister or sometimes just the balusters. A handrail is a rail that is designed to be grasped by the hand to provide stability or support. It is also known as railing or banister. They are typically supported by posts or mounted directly to walls. There is often a railing on both sides, sometimes only on one side or not at all, on a wide staircase, there is sometimes also one in the middle or even more. The handrails up the side or sides of a stairway and, as an extension, along with the edge of a landing. The material of a handrail can be stainless steel, cast iron or aluminum. They are grooved out so that the spindles fit into the underside of them. The handrail is commonly used while ascending or descending staircases in order to prevent injuries. The newel is a sturdy vertical post at the end or turn of a banister. Newel is also known as a central pole or support column. Since it is a structural component, it extends below the floor and subfloor to the bottom of the floor joists and is bolted right to the floor joist. There are four kinds of newel stair posts which are- standard, landing, pin-top, and stabilizer newel posts. Visually it looks like half the newel is embedded in the wall. For open landings, a newel may be extended below the landing for a decorative newel drop. Typically, they are 90mm x 90mm. A half newel may be used where a railing ends in the wall. It is a large baluster or post used to anchor the handrail. It accommodates the strings, handrails and treads/risers of stairs and usually seen at the head or foot of a flight of stairs. A volute is a handrail end component for the curtail or bullnose footsteps that curve inward like a spiral. It is said to be left or right-handed depending on which side of the handrail is as one faces up the stairs. The detail is like a scroll at the entry of a handrail, sometimes called a monkey's tail. Available with an up-ramp, it is installed at the bottom of the side on a starting step, extending out from the side of the staircase. However, it has the most difficult installation process you can find in a staircase. add an elegant flourish to any staircase. The baluster is a term that holds up the handrail. It is a vertical member which posts in the space under the banister to the treads or floor( on the side of a landing). Sometimes. it is simply called guard or spindle. It is made of stone or wood and sometimes of metal which can be plain or decorative. Treads often require two balusters. The second baluster is closer to the riser and is taller than the first. The extra height in the second baluster is typically in middle between decoration elements on the baluster. That way the bottom decorative components are aligned with the tread and the crown elements are aligned with the tread and the top elements are aligned with the railing angle. Instead of a complete spiral volute, a turnout is a quarter turn rounded end to the handrail. It is a stylish way to start a stairway. They are less dramatic than volutes but still attractive. Turnout is of two types- left and right-hand turnout. If you are facing the bottom of the stairway, a right turnout would be on the right side of the stairway and a left turnout would be on the left side. A turnout must have a pin top newel post below. It is available in a variety of woods like hard maple, hickory, alder, red oak, poplar, American cherry, etc. It is made of clear woods with no knots or blemishes. Turnout is used to finish off the bottom of the stair railing system. It can be used on a straight or curved stair. It allows continuous flow handrail. It gives a perfect accent to your starter step. In order to meet local building codes, you will find a set of winder stairs with a long gooseneck to make the transition between the small steps. Where the handrail terminates in the wall and a half-newel is not used, it may be trimmed by a rosette. It is an optional decorative wood stair part. While they are more of an ornamental feature, the process of attaching a handrail to a wall is made easier through using them. If your balustrade is a traditional style, then rosettes will add an additional piece of elegant detail. However, if you prefer a cleaner more contemporary, you should probably consider not adding rosette. Rosettes are made of woods like red oak, white oak, walnut, pine, beech, etc. It is used as a decorative transition accent between handrails and walls. The word easing refers to any type of hand railing change in direction. Wall handrails are mounted directly onto the wall with wall brackets. At the bottom of the stairs, such railings flare to a horizontal railing and horizontal portion is called a starting rising. At the top of the stairs, the horizontal portion of the railing is called - over easing. Up easing is an element of a handrail that allows changing the direction of a handrail from angular to vertical. Trim is usually applied where walls are supposed to meet the ground and i often used where the tread and riser meet. Shoe molding may be used between where the lower floor and the first riser meet. Trimming a starting step is a special challenge as the last riser above the lower floor is rounded. A final is a decorative cap to the top of a newel post, particularly at the end of the balustrade. The fillet is a decorative filler place on the floor between balusters on a balcony railing. Flutes are decorative vertical grooves sometimes routed into the wood surface of the spindle of newel posts.